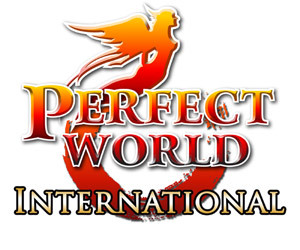 Perfect World is a 3D adventure and fantasy MMORPG with traditional Chinese settings. Players can take on various roles, including swordsmen, magicians, archers, priests and magical creatures. Characters develop skills over time, use magical weapons and team up with other players to fight against monsters and various creatures and to conquer and govern territories. 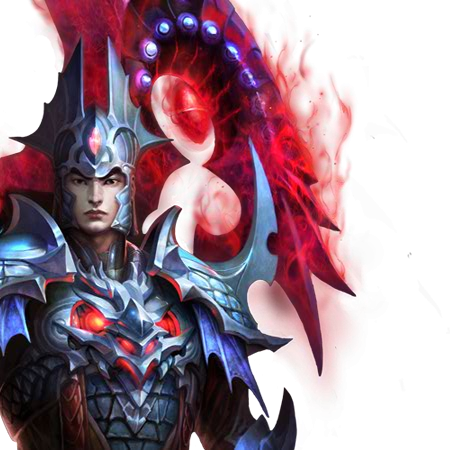 The fantasy artwork feels predominantly oriental, especially the game world and character faces. 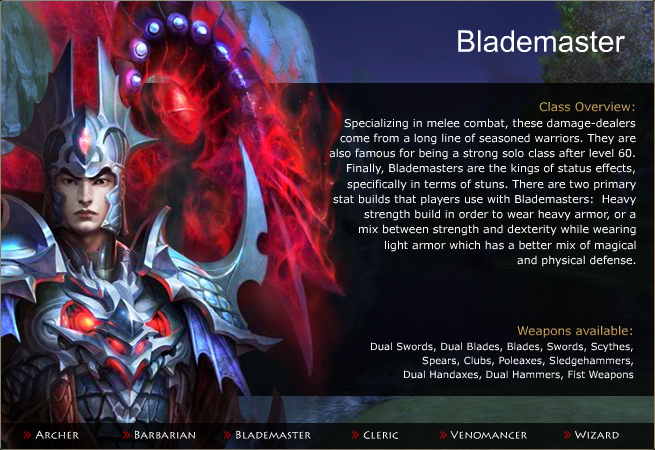 This Perfect World fantasy game art page has information on the Blademaster / Weapon Master / Wu Xia, one of the two careers available to Humans. Though considered a jack of all trades when it comes to dishing out melee damage, Weapon Masters still have skills that allow them to reach or run away from enemy targets easily. Weapon Masters can wield Simple Swords, Dual Swords, Axes, Hammers, Fists, Claws, and Spears. Each of these weapons also has their own set of Skill trees and each of these skill paths each have their own advantages and disadvantages. Each Weapon Master has a variety of weapons at their disposal, a fairly balanced build, and amazing skill animation. In the PvP environment, Weapon Masters can also be seen running rampant (especially Axe/Hammer types since they pack quite a wallop). Magic users are an easy target granting that you get them first before they release a spell, otherwise, you'll die very quickly. A Weapon Master can also cream an Archer--if he can hit one. In Territorial Wars, Weapon Masters have many roles to play. They are extremely useful in disabling huge crowds of warriors because of their area effect stun skill. Weapon Masters also act as protectors for the magic types and the long ranged attackers. Last, but not the least, they serve as the main force of the clan, constantly disabling and killing all those magic attackers to aid in the advance of their force. Several clans even deploy Weapon Masters as some sort of suicide stunners so that the long range attackers can pick them off one by one.